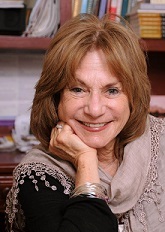 Clinical Case Consultations – Judith Ruskay Rabinor, Phd. I. Monthly case consultation groups for mental health clinicians interested in the treatment of eating disorders. All mental health professionals welcome: MDs. PhDs. MSWs, LCSWs, RNs. RDs, etc. Assigned readings are a springboard for expanding clinical perspectives on impasses in eating disorder treatment. Case presentation, group discussion, role playing and experiential exercise are at the core of these hands-on groups. Issues addressed include: treatment planning, family involvement, relapses, family dynamics and chronic patients. Multi-disciplnary and integrative approach, including psychodynamic, spiritual, practical, experiential and body-focused approaches. Groups meet monthly with an Internet based group to begin in March 2014. Email jrrabinor@gmail.com for details. II. Monthly case consultation group forming for mental heath clinicians interested in hands on skills for CoParenting After Divorce. Self regulation, grief, anger management and step family challenges will be addressed. Email jrrabinor@gmail.com for details.